Taken at the Golden Gate Bridge. Visit Skywatch Friday for more great photography. 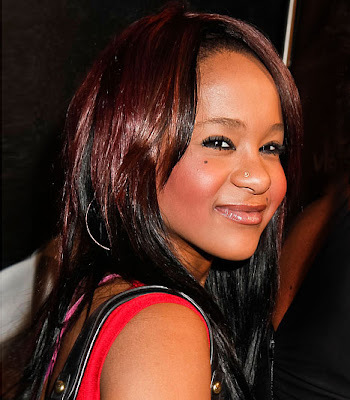 Since the passing of her Mother, Whitney Houston on February 11, 2012 it is said that 18 year old Bobbi Kristina, daughter of Whitney Houston and Bobbi Brown is out of control on drugs. I read these articles and see these headlines and I am angry, disgusted and frustrated. Why? Let's forget for a moment that she is a celebrity and look at the facts. She grew up in a dysfunctional household, more often than not being the parent for her parents. She witnessed drug abuse and domestic violence first hand. She became an adult before she was ready. This is an eighteen year old girl who lost her Mother/best friend, suddenly without any warning. Of course she is out of control. I lost my Mother at 38 and I was out of control, for months. Not to mention, she is constantly in the spotlight, being hounded by the media with tabloid disgust being spewed all over the airwaves and internet. How is she supposed to handle all of this. Visit Skywatch Friday for more incredible photography. Photo of me taken by Carmen a few months ago. I have always been a free spirit doing my own thing. My thoughts and ideas flow freely each moment of each day. I chose this photo for my post because it so aptly depicts the essence of me and the thought behind my post. We were at a party a few months ago and I was of course, with camera in hand taking photos of the water. Carmen snapped this shot. For more details and information view the listing at Jo's Collectibles Mercantile For more details and information view the listing at Jo's Collectibles MercantileThe Syracuse Ornamental Company, aka Syroco, is a well known and highly regarded company known for their ornate wood sconces, wall plaques and corkscrews. They produce many home decor products displayed in an elegant Victorian era period design. The term Syroco is actually derived from the Syroco molding process that is implemented by combining a wood compound and casting fluids that were poured into molds and then hand carved. Adolph Holstein invented this process in 1890. He was the original owner of the Syracuse Ornamental Company. These products are detailed with fine tuned clever artistry and a touch of class.